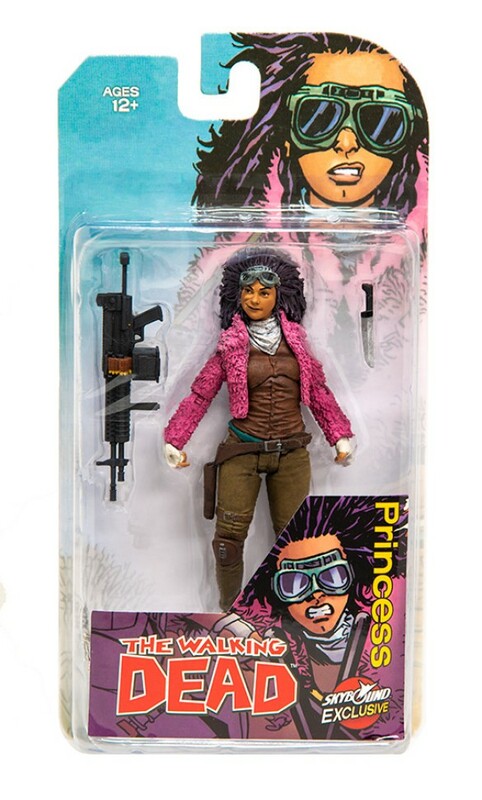 Joining Skybound’s exclusive lineup of limited The Walking Dead action figures is the vibrant child-at-heart Juanita Sanchez! With her self-proclaimed nickname, “Princess,” she comes equipped with her trusty machine gun and knife. This is the color version.